We are now offering an EXCLUSIVE offer to our clients! We are heading to Vancouver, Canada on our coming oversea pre-wedding session. Gown & suit will be provided by Amelia Wedding as well in the package. Local clients from Canada are also welcome! 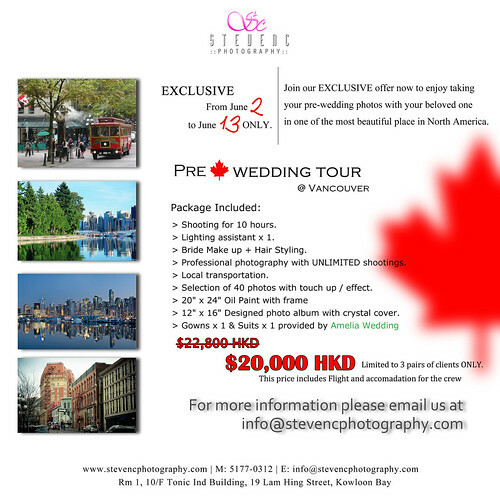 Please send us email info@stevencphotography.com if you have any questions! DON’T MISS YOUR CHANCE and make sure to share our exclusive offer with your friends!